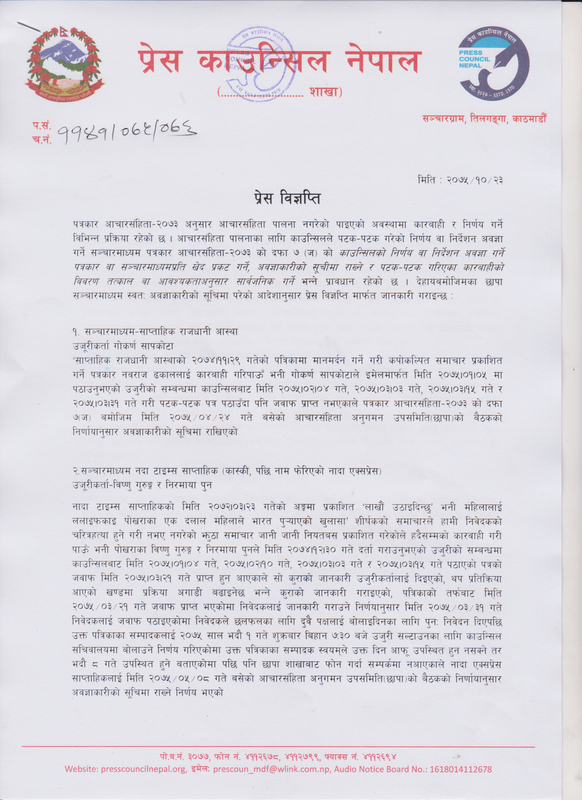 The Press Council Nepal has named five different news media in the list of disobedient after disobeying the decisions taken repeatedly by the Council in relation to the violation of the journalist code of conduct by them. Based on the complaint filed by the victim side of publishing baseless news, defamation or violating the journalist code of conduct in different ways, the Council had sought clarification from the respective media repeatedly. However, it was ignored and hence they have been put under the disobedient list, said information officer at the council Dipak Khanal. The media listed as disobedient include ‘Weeky Rajdhani Astha’, ‘Nada times weekly (Kaski, later named Nada express), “Swaraj Weekly’, ‘Fast times daily (Sunsari) and Gorkhapatra daily (Kathmandu). 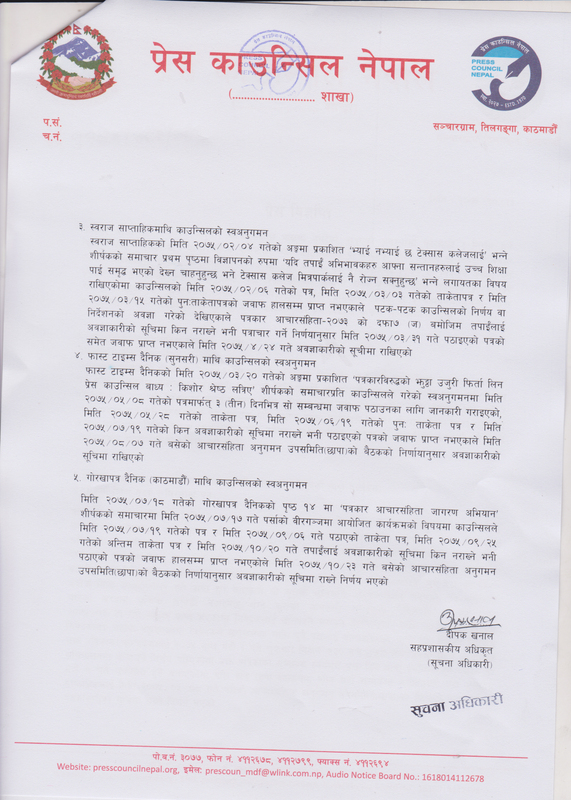 The action was taken as per Clause 7 of the Journalist Code of Conduct, 2073 which provides for condemning the journalist or media house ignoring the decision or directives of the Council, listing them as disobedient and making public the details of the action taken.